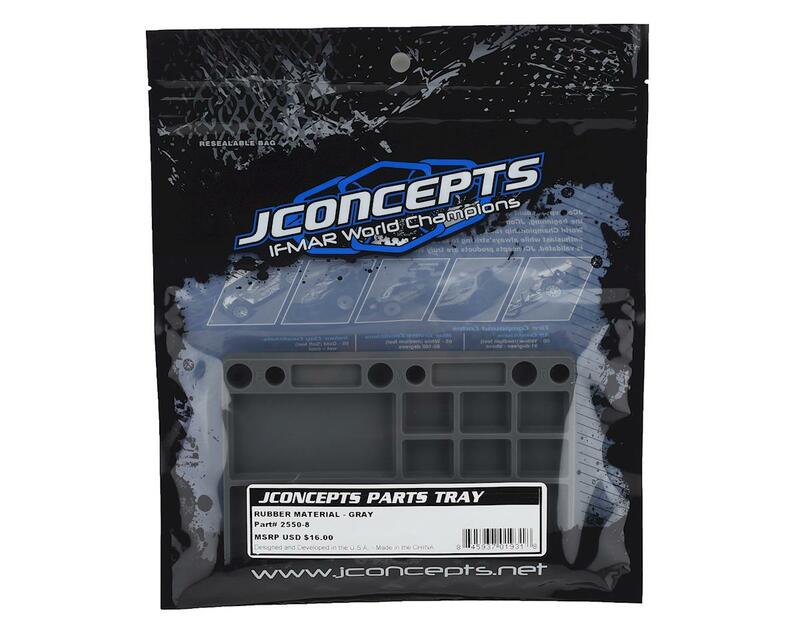 The JConcepts Rubber Parts Tray provides a great platform for organization with its detailed design, divided pockets and steady base weight. 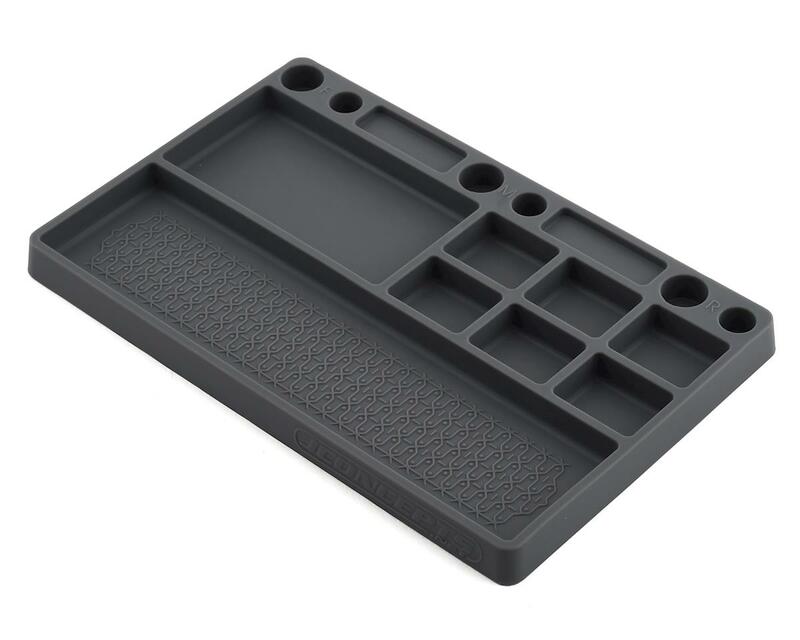 The tray is precision molded in a rubber material which shows well in any pit area with the available color options. Good parts tray that is easy to clean. 7 1/8" x 4 1/2" x 1/2"